Now the inside of the cottage is just about finished, it’s time to turn to the garden. 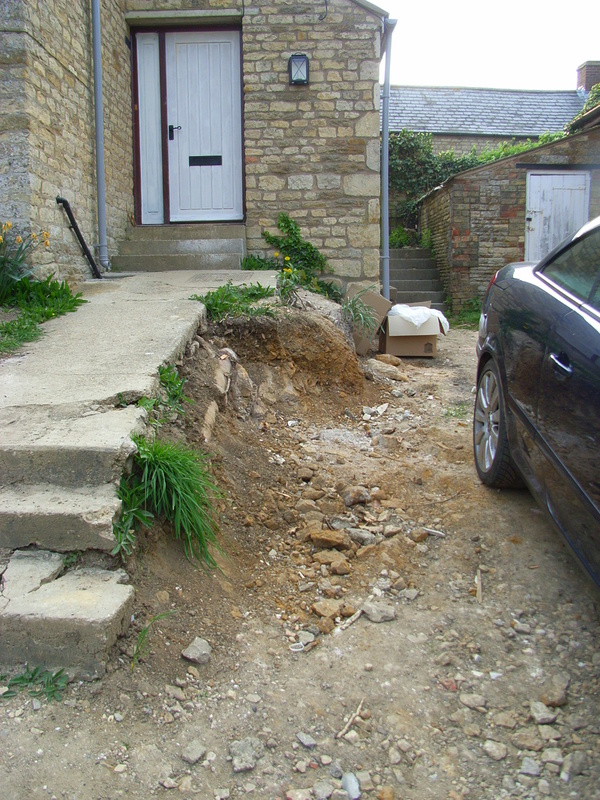 I really need to sort out the driveway before winter, and the broken concrete ‘runway’ and steps which run up to the front door. I can already see myself performing an undignified back-flip come the first real frosts. And as for the driveway: well, the builders discovered that the disintegrating tarmac had been laid over – wait for it – two large sheets of plywood. And nothing else. Not surprisingly, this means the drive now resembles the lower screes of Scafell. It is the slope on which the cottage is built that has moved me to call in professional help. I just can’t get my head around the different levels combined with the fact that the garden falls into three very distinctnareas: front garden (now a pile of topsoil decorated with dandelions), side garden (for a terrace) and back garden (courtyard?). The 3-D nature of the challenge is daunting. Thankfully, my lovely new neighbour just across the road is Alison Hutchinson, renowned local garden and interiors designer – so I have called her in! 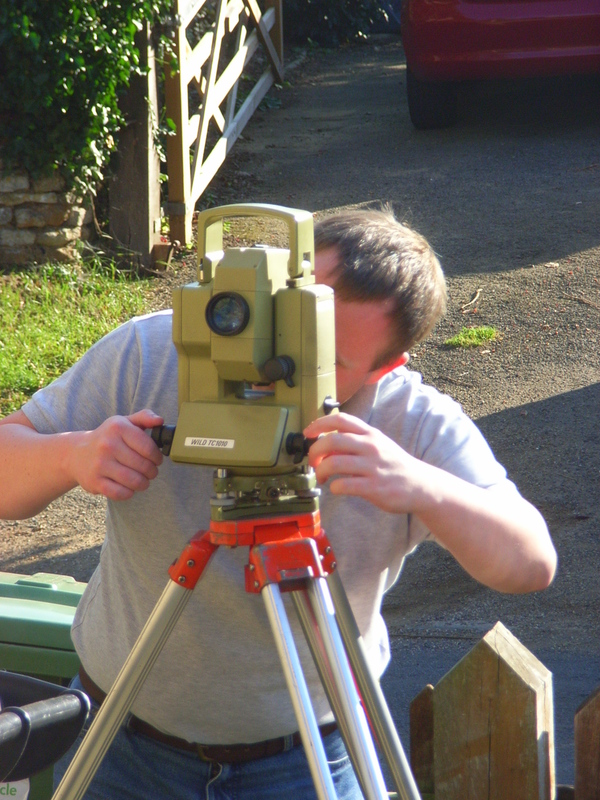 And this morning, two frightfully scientific looking types are carrying out a full survey of the plot, complete with all the kit on tripods – which may, or may not be called theodolites: not sure. But it all looks really serious!